The royal family experienced a bit of a scare on Thursday afternoon. 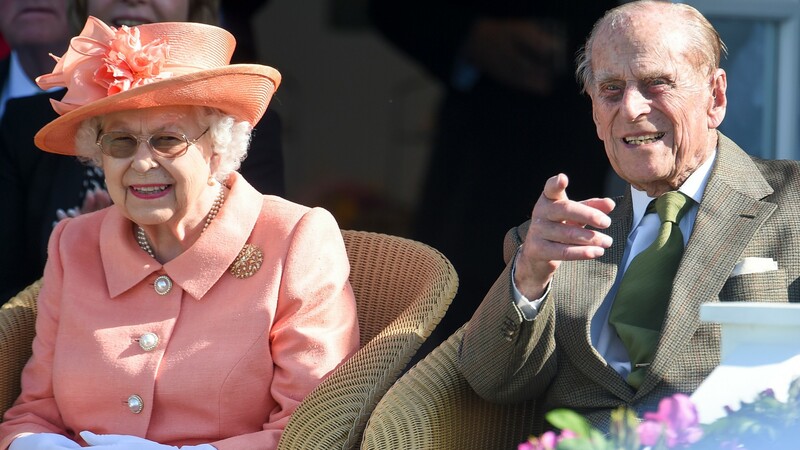 Although the Associated Press reported that he did not suffer any substantial injuries, 97-year-old Prince Philip was involved in a two-car accident that left his Range Rover overturned. Per E! News, Buckingham Palace confirmed the crash via a statement. “The Duke of Edinburgh was involved in a road traffic accident with another vehicle this afternoon. The Duke was not injured,” said a spokesperson, who noted the accident took place near Sandringham Estate, the private home of Queen Elizabeth II. Norfolk Police also confirmed to E! News that officers were called to the area just before 3 p.m. local time “following reports of a collision involving two cars.” Emergency response officials including police and ambulance crews arrived on the scene to tend to Philip as well as the two people in the other vehicle. The crash occurred as Philip was pulling out of a driveway on the road, per the BBC’s report on the accident. Eyewitnesses who helped Philip out of the overturned vehicle revealed he was “conscious but very, very shocked and shaken.” The BBC reported that the other people involved in the accident were two women driving a Kia. They have reportedly been treated and since discharged. One woman who drove past the crash scene pointed out that Philip is fortunate he escaped the accident unscathed. “It was a black, 4×4 type car on its side and me and my son were like, ‘Oh my word, that doesn’t look good.’ Luckily it was just sort of on the side of the road, the road wasn’t closed in any way. Obviously, it looked quite smashed in. I’m quite amazed he is OK, actually,” the eyewitness told the BBC. At this point, there is no reason to believe the accident was the result of anything other than driver error. The BBC’s Nic Rigby reported from the scene that, although it had been a frigid day with small snow flurries in parts of Norfolk, the county’s roads were relatively clear. Additionally, police told TMZ that both Philip and the driver of the other vehicle were given breathalyzer tests, which is standard operating procedure. They reportedly both passed with no problems. Out of an abundance of precaution, Philip was seen by a doctor. However, a source assured People that “he’s fine,” which we’re happy to hear.